Oils on acne prone skin might sound stupid but some plant oils helps to reduce acne breakouts when used properly. Oil cleansing and facial oils are a trend now. While many say that oil cleansing is a game changer in their skincare routine there are some who say it worsen their skin condition. Choosing carrier oils wisely will not worsen you skin condition. 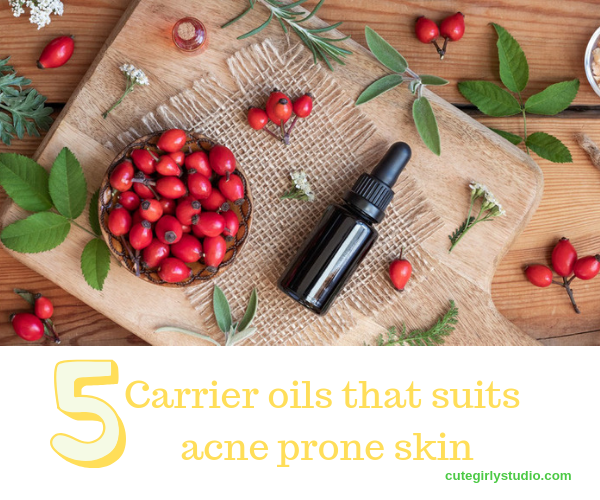 Here I will be listing 5 carrier oils that suits acne prone skin perfectly. Hemp seed oil is safe carrier oil for acne prone skin. It helps to deep cleanse the pores. It has a cleansing property similar to castor but it won’t dry out the skin like castor oil. 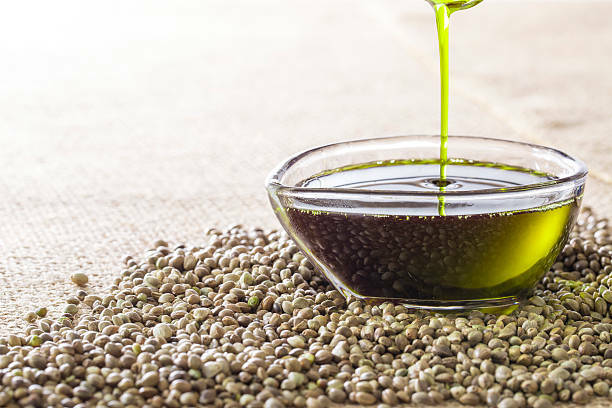 Hemp seed oil is dry oil which means it has astringent qualities. It is rich in linoleic acid so it improves the quality of sebum and thus prevents clogged pores. It is great cleansing oil for acne prone skin. Hemp seed oil has the capacity to curb hormonal acne breakout. You can buy hemp seed oil here. Argan oil is one of the expensive plant based oil out there. 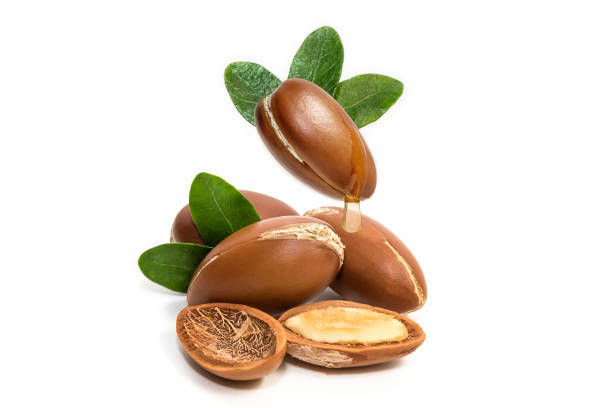 Argan oil has light consistency and has zero chances to clog the pores. It moisturizes the skin thus reducing the sebum production. The more moisturized your skin is the less likely your skin produces sebum. Less sebum equals to less chance to clogged pores. It also soothes inflammation on the skin thus it reduces inflamed acne. Argan oil is a great moisturizer for acne prone skin. You can buy argan oil here. Pumpkin seed oil won’t clog the pores .Thanks to two micro-nutrients zinc and selenium present in it, which is capable of fighting acne thereby giving us clean and clear complexion. 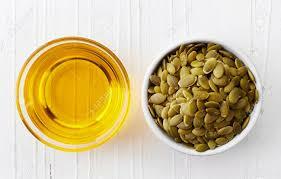 Apart from keeping breakouts away, pumpkin seed oil also helps in fading away acne scars with its high vitamin E content. Mix 1 or 2 drops of it with regular moisturizer. You can buy pumpkin seed oil here. 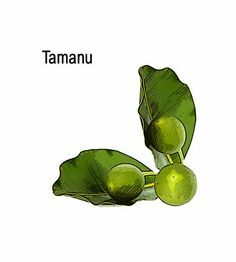 Tamanu oil is quite expensive oil but it is worth having a tiny bottle of Tamanu oil. Tamanu oil has the ability to remove even the most stubborn scars and acne marks. But it also helps to treat active acne. With its anti bacterial and anti fungal properties, it fights against all kind of acne breakouts be it fungal or hormonal. You can use Tamanu oil as a spot treatment. You can buy tamanu oil here. Jojoba oil mimics sebum and thus regular application of jojoba oil will regulate sebum production. It unclogs the pores and prevents future breakouts. Jojoba oil might purge initially but when used regularly in a skincare regime it clears up your skin magically. You can use jojoba oil as a oil cleanser or as a moisturizer since it won’t make your skin greasy. You can buy jojoba oil here. So what is your favourite carrier oil to treat acne breakouts?